We’re always looking for good (efficient!) 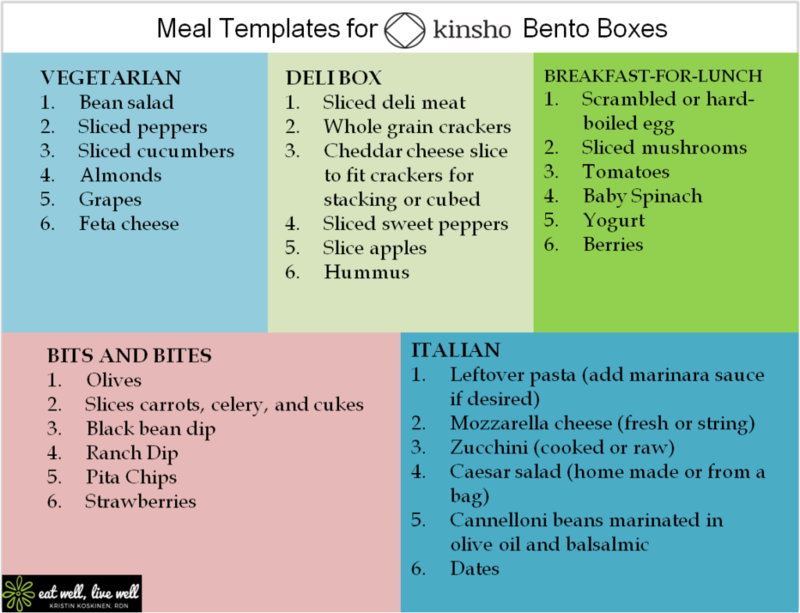 advice on prepping healthy lunches that leverage the form and function of our bentos. Kristin Koskinen, RDN has wonderful content on her site EatWellPros outlining her best practices specifically for our 6 compartment design. 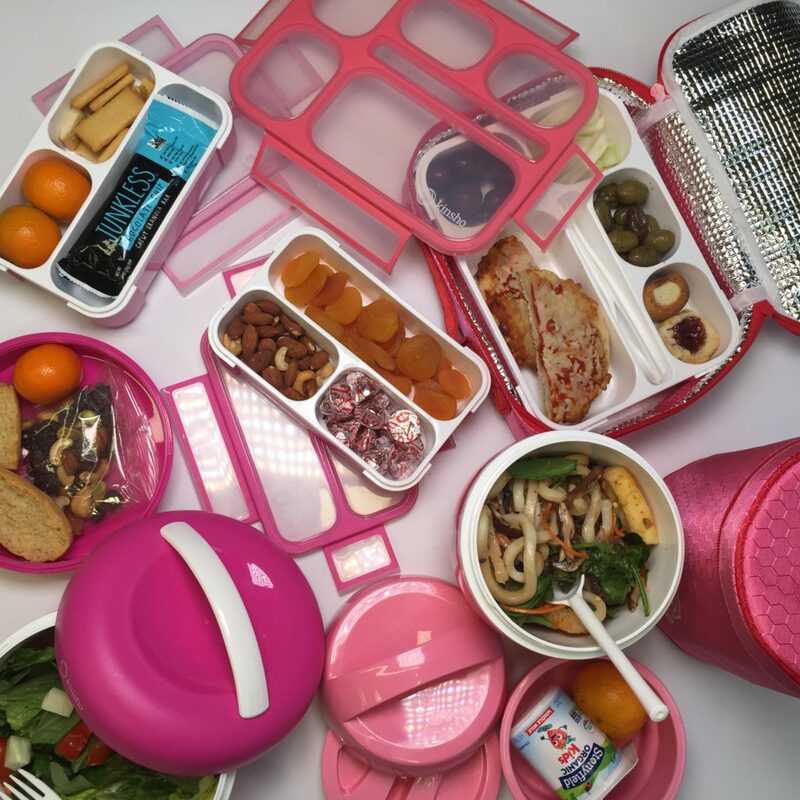 She outlines highly practical advice for efficiently making satisfying, healthy bento lunches. She has 5 kids so this process is very well tested. 😊Below is an excerpt from the complete write up on her site. 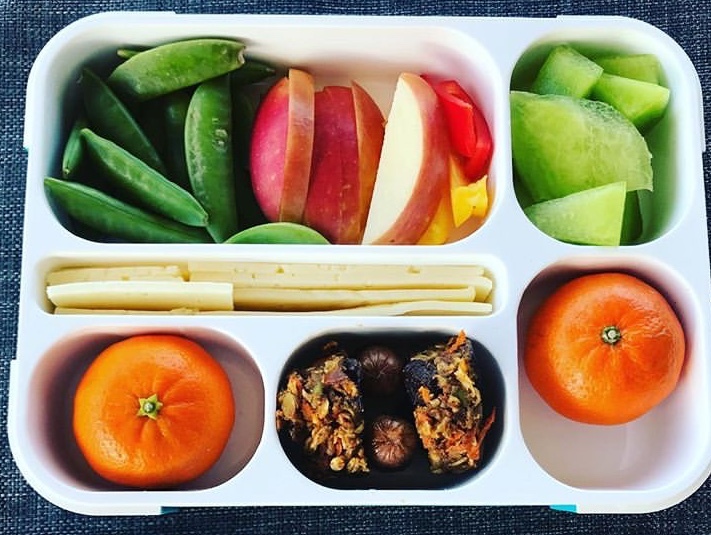 “Mise en place is the French culinary term which means “everything in its place.” Essentially, the Bento creates an orderly approach to lunch creation with it compartmentalized containers. Now, we need to prepare ourselves to create lunches that feed not just the belly, but the senses. Kinsho TIP: Remember to take some deep breaths to center your mind and calm your heart during your food prep. Enjoy the colors, scents and flavors during this creative process. You may find more inspiration coming as you get into the flow! ” Mise en place is ideal, but in the real world, sometimes we have to look at Good/Better/Best. Somedays “Good” is our “Best,” and I am just fine with that. ~1 (or more) Vegetables (Cooked or Raw): celery, broccoli, carrots, cauliflower, cucumbers, sliced peppers, cherry tomatoes, mushrooms, salad greens, green beans, beets, potatoes, sweet potatoes, etc. ~1 (or more) Fruits: slices apples, oranges, or pears, pineapple or mango chunks, grapes, melon cubes, plums, no-sugar added apple sauce, raisins, dates, etc. ~1 Leaner Protein: cubed, sliced, or shredded turkey, chicken beef, or pork; smoked salmon, cod, halibut, hard-boiled eggs, yogurt, legumes (lentils, kidney beans, black beans, navy beans) etc. ~Whole Grains: Quinoa, oats, kasha, rice, pasta, pasta salad, tortilla wraps, whole grain crackers, whole grain bread cut to fit your containers or used to make finger sandwiches. ~Fattier Proteins: cheeses, nuts, seeds, nut butters, seed butters, avocado, etc. ~Dips and Spreads and Other: guacamole, humus, nut and seed butters (almond, peanut, cashew, sunflower seed, etc), salad dressings, olive oil, marinara sauce, salsa, high-quality ranch or other favorite vegetable dip, olives, sauerkraut. ~Leftovers: The tidbits that you might have thrown away before are now right-sized for your Bento! We hope this inspires you for creating your own streamlined process for creating healthy lunches! Connect with Kristin and check out more advice for healthy, delicious and efficient meals.